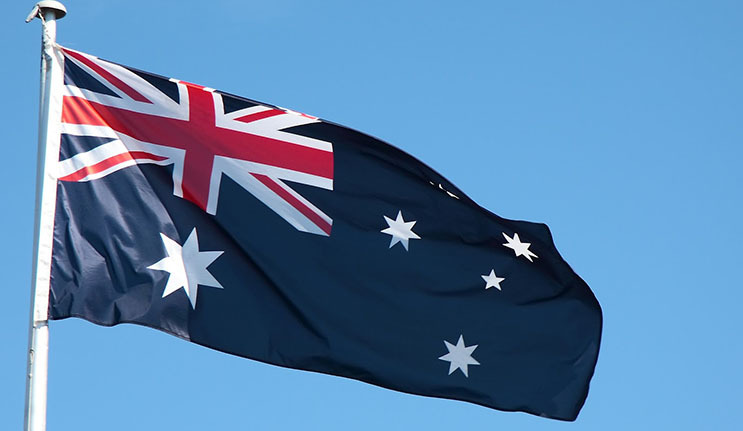 Twenty Macquarie alumni were recognised for their contributions to a range of endeavours in the 2018 Australia Day Honours. Former Australian netball captain and champion, broadcaster and media commentator, Liz Ellis (B Arts / LLB 1997), and Industrial Relations academic, Emeritus Professor Russell Lansbury (Doctor of Laws (HonorisCausa) 2005), received the Officer of the Order of Australia award. Mark Anderson AM (B Arts / Dip Ed 1980) for significant service to secondary education in New South Wales through administrative and executive roles, and to educational standards. John Bateman OAM (B Arts / LLB 1981) for service to local government, and to the community of Nepean. Dr Caroline Bowen AM (PhD 1996) for significant service to speech pathology and clinical linguistics as a therapist, academic, educator and mentor. Emeritus Professor Shelley Burgin AM (PhD 1989) for significant service to environmental science and education as an academic, author, and mentor, and to zoology and conservation. Dr Sharyn Eaton OAM for service to chiropractic medicine, and to education. Elizabeth (Liz) Ellis AO (B Arts / LLB 1997) for distinguished service to netball as an elite player and coach, through support and advocacy for young women, as a contributor to the broadcast and print media industries, and to the community. Emeritus Professor Russell Lansbury AO (Doctor of Laws (HonorisCausa) 2005) for distinguished service to industrial relations education as an academic, researcher and author, through contributions to international arbitration foundations, and as a mentor of young academics. Dr Ross Littlewood AM (B Arts 2016) for significant service to medicine as an ophthalmologist, to professional medical organisations, and to the international community of Timor Leste. Associate Professor Henrietta Marrie AM (M Environmental and Local Government 1999) for significant service to the community as an advocate for Indigenous cultural heritage and intellectual property rights, and to education. Dr Wilfred (Alan) Morrison AM (M Public Administration 1986) for significant service to the community through development and support for international standards, to the energy supply sector, and to engineering. Lieutenant Commander Sandon Morrell CSM RANR (M Policing, Intelligence & Counter Terrorism / M International Security Studies 2017) for meritorious devotion to duty in the field of operational planning and implementation in direct support of Australian Defence Force operations. Andrew Nicholls PSM (B Arts Hons 1993) for outstanding public service to transport and insurance policy development and reform in New South Wales. John Reid PSM (B Arts / LLB Hons 2002) for outstanding public service through the provision of legal advice to the Commonwealth. Ian Sayers ED OAM (B Arts Hons 1973) for services to veterans and their families, and to the community. Michael Shobbrook AM (M Chiropractic 1994) for significant service to the chiropractic profession through leadership in education, accreditation and development programs. Dr Michael Stanford AM (MBA 1991) for significant service to the health sector through executive roles, to tertiary education, and to the community of Western Australia. Gregory Whitby AM (B Arts / Dip Ed 1976) for significant service to education in the Catholic school system as a leader, administrator, advocate and teacher. Vivienne White AM (B Arts 1984) for significant service to education through leadership in the development of initiatives that support disadvantaged students and schools. Professor Richard Wortley AM (PhD 1993) for significant service to criminology and psychology through the development of security and crime science education. Friends of Macquarie were also recognised for their contributions to the community. Angelos Frangopoulos AM for significant service to the broadcast media sector, to higher education and the promotion of journalistic standards, and to the community. Colleen Godsell AM for significant service to youth through Scouting, and through roles with educational, historical preservation, Indigenous tourism and social welfare groups. Peter Henchman OAM for service to conservation and the environment. Peter Levett AFSM awarded an Australian Fire Service Medal. Paul Robertson AM for distinguished service to the community through ethical leadership and management of, and philanthropic contributions to, health, social enterprise, research, education and arts.